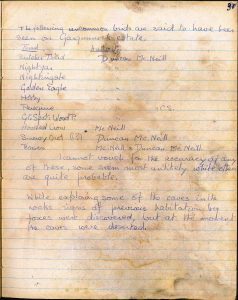 At the end of her diary entries for 1922, Viola wrote a list of the birds that the Gargunnock Estate Gamekeeper and his son claimed to have seen on the estate. Some of these are quite likely, some less likely and one pretty much impossible. Viola notes at the bottom of the list that she ‘cannot vouch for the accuracy of any of these’ and is quite rightly sceptical about what she has been told. One wonders if the Gamekeeper is testing her credulity with his stories. 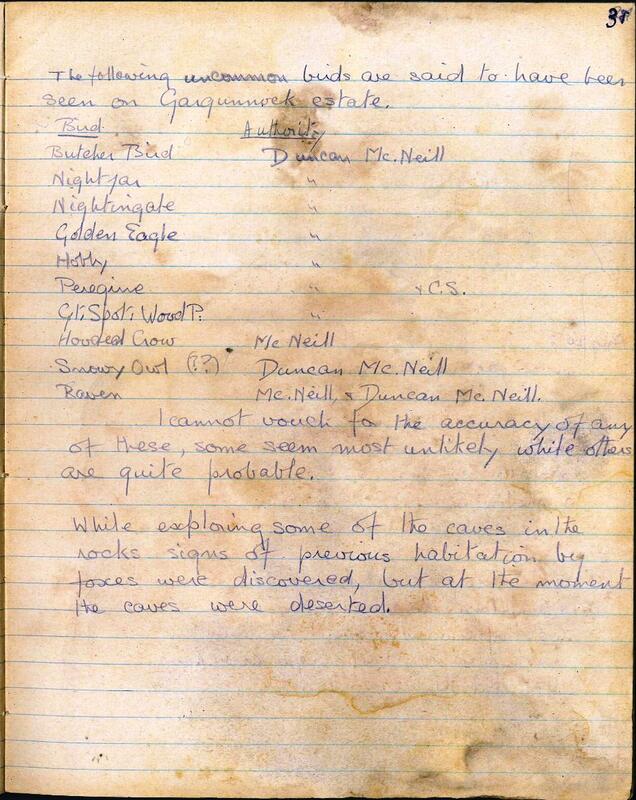 Judge for yourself how likely it is that the following birds might have been at Gargunnock at this time. 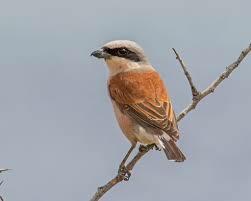 The ‘butcher bird’ referred to is the red backed shrike. This is now a very rare bird in the UK but would have been less so in 1922. It is known as the ‘butcher bird’ from its habit of impaling its prey on thorns or spines as a kind of larder. You can find out more about these elusive birds here. The nightjar is a nocturnal bird and a summer visitor to the UK. It does not usually come as far north as Stirlingshire but it could have found its way to Gargunnock in the 1920s. 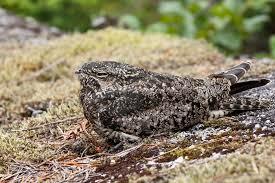 Find out more about the nightjar here. 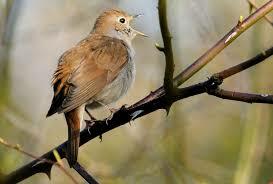 The nightingale, known for its distinctive and beautiful singing voice, is another summer visitor to the UK. However, it is not normally found anywhere other than the south of England. It is not that distinctive a bird visually and is very secretive, hiding in thick cover and being apparent largely from its lovely song. You can read more about this bird here. 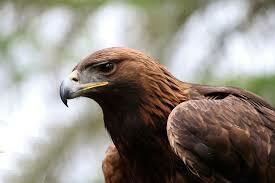 The magnificent golden eagle has been sighted relatively recently in the Stirlingshire area so it is possible that one could have made its way to Gargunnock. 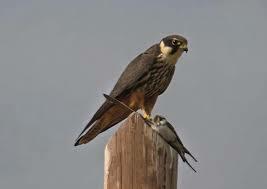 The hobby is a small bird of prey and is another summer visitor to the UK. 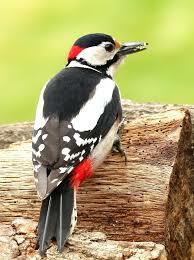 They have been recorded in southern Scotland so it is debatable whether one might have been seen at Gargunnock. See what you think after reading more here. 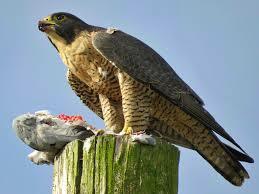 Another raptor, the peregrine falcon is found all over Scotland and is a year round resident. It is a very beautiful bird and Viola is likely to have seen one herself on the estate. Read more here. Great spotted woodpeckers are definitely found in Scotland as we saw one on the bird feeder outside the Archives a couple of years ago, so this bird is definitely something that would have been seen at Gargunnock. 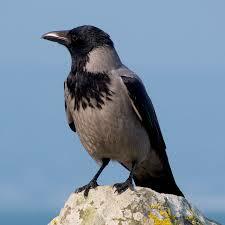 Hooded crows are also commonly found in Scotland being a year round resident here and across Ireland. The bird that Viola is most sceptical about, and rightly so, is the snowy owl. This is not a resident of the UK or a visitor, being found in arctic regions. 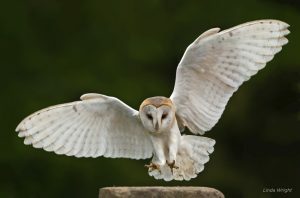 There may have been some confusion here with the barn owl, which is a pale bird and can look white in flight. 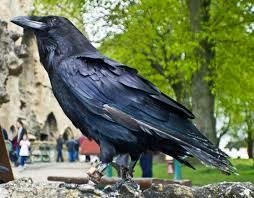 More likely to have been seen at Gargunnock is the raven, which is a year round resident in parts of the UK.